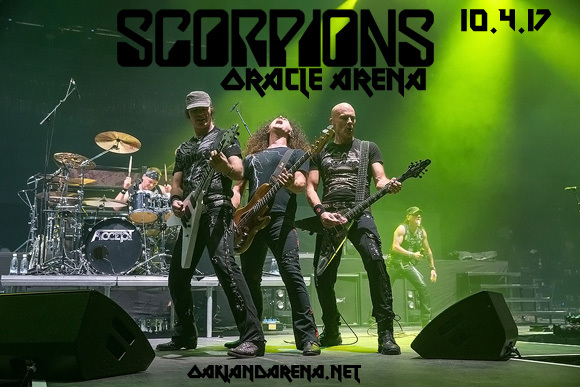 All fans of old school metal young and old, get ready to catch Scorpions & Megadeth live!! These giants of metal are on tour and headed for the Oracle Arena on Wednesday 4th October 2017! It's going to be an unmissable night!! Be sure to book your tickets well in advance – they won't last long!!! Hit the “Buy Tickets” button above NOW!! Formed in Hanover, Germany in 1965, The Scorpions have had a huge and long-lasting impact upon rock and metal as we know it today. The band changed genre throughout the course of their career, starting out from hard rock and then going more in the direction of melodic heavy metal, with the addition of classic rock power ballads. In 1990, their album “Crazy World,” was released, their best-selling after no less than 5 commercially successful albums released in the ten years prior. The album included the song “Winds Of Change,” an anthem reflecting on the political changes in Eastern Europe in the late 80s. It resonated with many and became one of the best-selling singles in the world, with sales of over 14 million.